According to the Centers for Disease Control and Prevention (CDC), rates of childhood obesity have increased considerably in the past few decades. In 1980, only 7 percent of children aged 6 to 11 were obese. By 2012, this number had jumped to 18 percent. These numbers are disheartening, as the CDC says being obese increases a child’s risk for heart disease, diabetes, sleep apnea, bone and joint problems, and psychological issues. Unfortunately, as the CDC has explained, children who are obese are also more likely to be obese as adults and to experience health issues such as diabetes, cancer, stroke, heart disease and osteoarthritis. Preventing obesity and associated diseases is clearly vital to your child’s long-term health and well-being, and healthy habits start at home. As a parent, you play a pivotal role in helping your child to maintain a healthy weight. 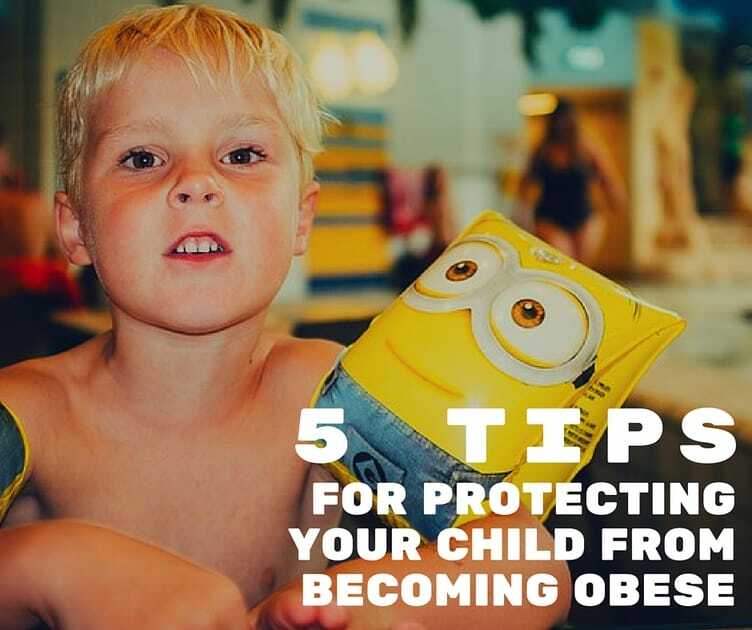 Keep reading to learn about ways to lower your own child’s risk of becoming obese and suffering from a lifetime of health problems. Spending too much time in front of the TV can lead to weight gain, even if your child is physically active at other points during the day. This is because TV viewing is a completely sedentary activity. In 2015 researchers for the Journal of Physical Activity & Health found that active children who spent more than two hours watching TV each day were just as likely as inactive children were to be overweight or obese. Limit your child’s TV-watching time, and encourage more active forms of entertainment, such as playing with the dog or throwing a Frisbee in the back yard. Sugary beverages such as soda, juice and fruit punch can significantly increase your child’s risk of becoming obese, as these drinks provide extra calories with very little nutrition. Even 100-percent fruit juices are loaded with sugar and calories, which can contribute to weight gain. In a 2014 study in Public Health Nutrition, researchers found that children who consumed more than four sugar-sweetened beverages per week were over three times as likely to be obese. Avoid these types of drinks and instead offer your child water or unsweetened tea. You can add flavor to plain water with lemon or slices of strawberries. Your support can go a long way toward encouraging your child to be physically active. In a study in a 2015 edition of the Journal of Physical Activity & Health, researchers found that children whose parents encouraged physical activity were more physically active compared to children whose parents who didn’t encourage it, even if the parents themselves were not very physically active. Promote active play, such as bike riding or swimming, to decrease your child’s sedentary time and lower his risk of becoming obese. Being a role model for your child can encourage her to be more physically active, according to research. In 2011, scientists for the International Journal of Behavioral Nutrition and Physical Activity found that children were more likely to engage in moderate or vigorous physical activity when their parents were more physically active. It makes sense that your child would be more active if she sees you exercising; after all, your behaviors set an example for her. You can even use physical activity as an opportunity to spend quality time with your child. Plan family hiking trips or sign up to run a race together. Whatever activity you choose, promoting exercise burns calories and reduces your child’s risk of reaching an unhealthy weight. Teaching your child about proper nutrition starts at home, and family meals provide an opportunity for you to help your child establish healthy eating habits. In fact, a 2011 study in Pediatrics found that when children had family meals at least three times per week, they were more likely to be at a healthy weight and to have healthy eating habits, when compared to children who consumed family meals less often. Children who enjoyed three or more weekly family meals were 12 percent less likely to be overweight and 20 percent less likely to consume unhealthy foods. Use family meal time to teach your child about the importance of eating a variety of nutritious foods, such as fruits, vegetables, and lean protein sources. Teaching your child about healthy nutrition at mealtimes can improve their eating habits and keep them at a normal weight. Other strategies, such as encouraging physical activity, cutting out sugary beverages, and limiting time spent watching TV can lower your child’s risk of obesity and protect him or her from experiencing chronic health conditions, such as diabetes and heart disease, later in life. Childhood Obesity Prevention And Treatment: Eating Healthy Can Be Fun! is a great book to provide you with the information and the tools to enable you to help your child maintain a healthy weight without the hassles. To make it easier to get your child to exercise, check out the Wii Fit Plus by Nintendo. This is a fun and easy way to promote healthy activity for the entire family. If you don’t already have one you will need a Nintendo Wii as well. It has a lot of great games families can play together.